TripAdvisor is the world’s largest travel website. It hosts reviews on hotels, tourist experiences and attractions, restaurants, and airlines. TripAdvisor for Business can be a game changer. It streamlines travel planning, by taking consumers directly from research to price comparison, to booking. TripAdvisor bestows a Certificate of Excellence award to approximately 10% of listings annually, based on consistent positive reviews. It presents Traveler’s Choice Awards to even fewer listings regarded as the “best of the best” in specific categories. Both designations are powerful marketing tools and influence visibility on the TripAdvisor site. Take control of your online reputation with the most powerful online review management tool out there. 5starRocket allows you to get in front of potentially damaging complaints BEFORE they are posted and helps you increase your positive reviews. 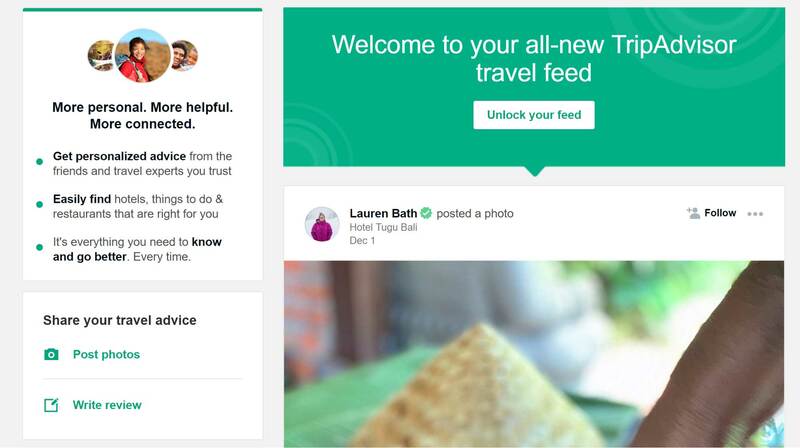 TripAdvisor has shifted away from simply a collection of reviews to feel more like a travel-focused social network. The homepage is a scroll-down “travel feed” of recently uploaded photos, videos, and reviews where users can follow specific reviewers so that they always see reviews from them. 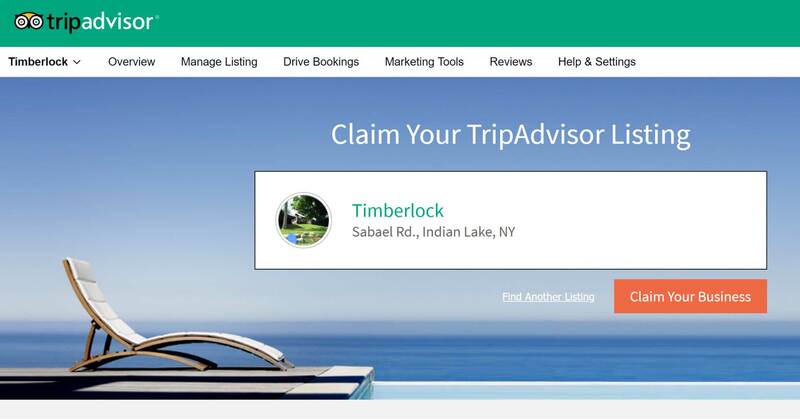 It is possible that your business is already listed on TripAdvisor, even if you have not officially listed it yourself. For that reason, it is best to search TripAdvisor for your listing before creating a new listing. You can search for your listing here. When you find your listing, you can click the orange Claim Your Business button. You will be prompted to sign in with either Facebook, Google, or your TripAdvisor account. If you search for your listing and nothing appears, you can list your business for free here and complete the registration process. The listing will not appear immediately as it takes some time for TripAdvisor to verify the listing. 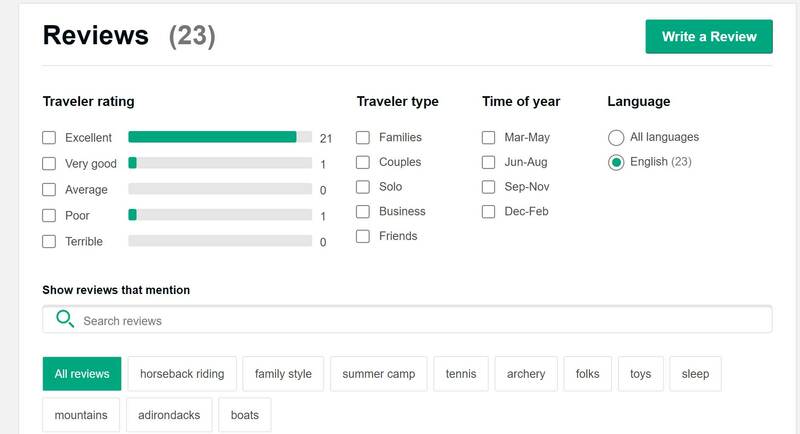 There is a box in the left column of the homepage titled Share Your Travel Advice. In that box, the reviewer can click Write a Review. At that point, they will be prompted to sign in using either Google, Facebook, or their TripAdvisor account information. Once they are logged in, they can search for the place they would like to review. When they get to the landing page of the place they would like to review, they will need to scroll down the page, past the photos and overview, until they get to the reviews section. At the top of that section, there is a green Write a Review button. 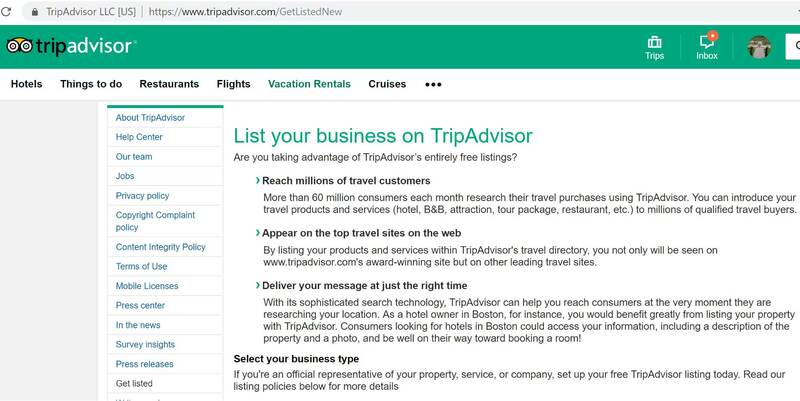 Final thoughts: With over 124 million visitors in November 2018 alone, TripAdvisor is the world’s largest travel website. Stand ahead of the pack and get that competitive advantage with 5starRocket’s online review management. Boost your online reputation by increasing your positive reviews and also get ahead of any complaints BEFORE they are posted.